For the last three years we have done the CrossFit Open intramural style and this year we’re doing it all over again. 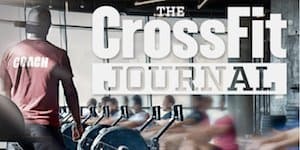 If you’re unfamiliar with the CrossFit Open, it’s CrossFit’s largest annual online competition with over 275,000 people registered from around the world in 2017 and the 1st stepping stone to The CrossFit Games, the ultimate test of fitness. Workouts are released each Thursday night for 5 weeks. For most of us, The Open is a time to see how we’ve improved our fitness in the past year and push outside our comfort zones. Our community comes together and forms an amazing bond during this time. We go into battle each Friday Night with our teams as we compete in our version, The Wreck Room Intramural Open. For five consecutive weeks on Friday Nights, we host The Open at Wreck Room in an intramural team format. The event kicks off at 6:30 pm each week and athletes will represent one of four teams. The teams will earn points for participating in a variety of activities listed below. What are you competing for? Your name on the Championship banner hanging for everyone to see. (Maybe a few little prizes too!). Each athlete that registers on The CrossFit Games website is eligible to be drafted. A link to register is below. We will be picking four of you athletes to be a team captain. One evening around the end of January these four captains will pick their teams (fantasy draft style). Teams will begin planning their team t-shirts, spirit award ideas and other fun stuff. Team team that shows up each week with the best energy, costumes, supports others in the event, and more wins 5 points for that week. BONUS Points: Throughout the open, there will be opportunities for teams to win bonus points. Your team name and all athlete’s names on a banner is up for grabs this year.